It’s the nature of news that it focuses mostly on things that go wrong. That hasn’t been hard to do in recent weeks. And for Mayor Vincent Gray, things have gone very wrong very fast. Last week, U.S. Attorney Ronald Machen scored his biggest legal victory in the Gray campaign scandal when public relations executive Jeanne Harris pleaded guilty to felonies for her part in running a $650,000 “shadow campaign” that helped elect Gray in 2010. The court case was the first official confirmation of that shadow campaign. 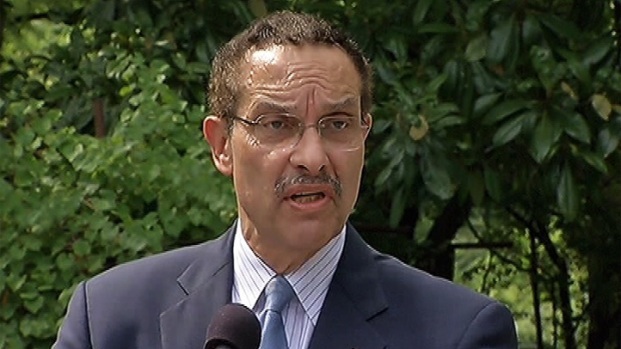 Another day, another round of questions for DC Mayor Vincent Gray about the federal investigation into his 2010 campaign.On Wednesday, supporters will hold a rally for the embattled mayor. News4's Tom Sherwood has the details. And it makes the mayor’s role far murkier and more sinister. The Washington Post also reported that even in the midst of the federal investigation, the mayor met Jan. 10 in his offices with Harris, who at the time was a principal suspect in the case swirling around him. Sources close to the mayor dismiss the Gray-Harris meeting. They say it was just her attempt to inform the mayor that she had some routine campaign expenses from 2010 that had never been officially recorded or reported by the Gray campaign a year earlier. The mayor, in this pro-Gray recounting, simply told her to pass along the expense records to campaign lawyer Lloyd Jordan. At some point, the mayor wrote a follow-up email memorializing his instruction to Harris. This benign version of what happened simply strains credulity for a wide array of sources, both those for and against the mayor. The importance of the meeting is at minimum that Gray learned of $653,800 in unreported expenses on his behalf. But sources make it increasingly clear that Gray’s knowledge of the unreported cash predated that January meeting. How much Gray knew about the shadow campaign, and how early he knew, constitute the core of the U.S. attorney’s investigation, which is rapidly wrapping up. Journalists and political leaders are speculating openly on when, not if, the mayor will resign. Bottom line -- there are a lot of bottom lines in this scandal -- the mayor didn’t just arrive in the middle of this scandal movie; he may have been there at the start. And that’s a big problem for him. The official Gray campaign never filed amended reports to reflect Harris’s expenses after the January meeting. By March, the FBI was raiding Harris’s home and the offices of Jeffrey Thompson, the businessman identified in media reports as the man who funded the shadow campaign. The Gray-Harris meeting in January is puzzling for another reason. Was Harris really in the mayor’s office innocently to clear up some routine bookkeeping left over from a year-old campaign? The court records in Harris’s plea agreement released last week show that just days before her meeting with the mayor, in December 2011, Harris had met with Thompson. The plea agreement showed that Harris and Thompson -- who has not been officially named or charged -- agreed to have Harris change some business income tax records to reflect the money Thompson had secretly provided for the shadow campaign. So is it really possible that almost immediately after that scheme to disguise the money, Harris went to see Gray just to routinely report the extra campaign cash? Maybe that’s the way it happened. A lot of people want to see the U.S. attorney’s follow-up version of all this. It appears you won’t have to wait too much longer. • Tantalizing clues. U.S. Attorney Machen is careful in his public remarks not to get ahead of his investigators. But on careful rereading, his public statements after the Harris guilty plea literally scream the direction in which he is going. Machen says Harris and unnamed co-conspirators -- presumably Thompson -- had participated in similar donation schemes dating to 2001. That means the suspects knew what they were doing in 2010; they weren’t just ham-handed operatives fumbling around to help Gray. Machen says the shadow campaign “coordinated” its activities with individuals in the official Gray campaign. That means that until the investigation is complete, everyone in the official campaign up to and including Gray is suspect. And Machen and the court papers say there was an ongoing conspiracy to obstruct justice well after the campaign and up until just a few months ago, when Harris met with Thompson in December and with the mayor in January. Mayor Gray has hunkered down behind his attorney’s tough instruction that he not comment publicly about any of this. That may be the best policy for any attorney in the court of law who’s trying to keep his client out of jail. But in the court of public opinion, the verdict is being formed that the mayor is guilty. We just don’t know yet the final details.